After the food is gone, the decorations have been thrown away, and the flowers have wilted, photographs will be a lasting record of the night's events. It would be our pleasure to photograph your special day. Get more for your wedding! 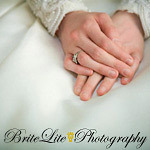 Don't forget to mention ChossonKallah.com when visiting BriteLite Photography.